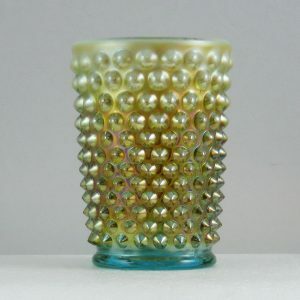 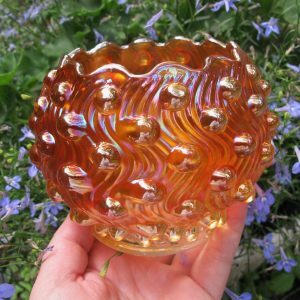 This HOBNAIL shape was made by Fenton for Levay Glass. 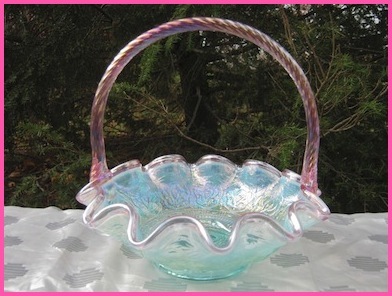 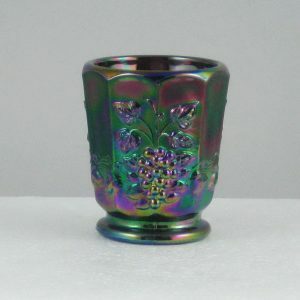 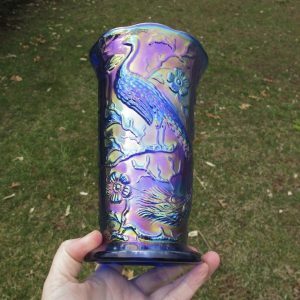 The ad calls this Purple…so will I. Gary Levi, Levay Glass, had this item made as part of a Carnival Glass Special Order from Fenton Art Glass. 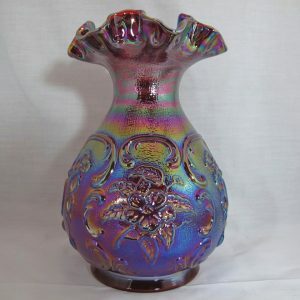 It is considered scarce today by collectors. 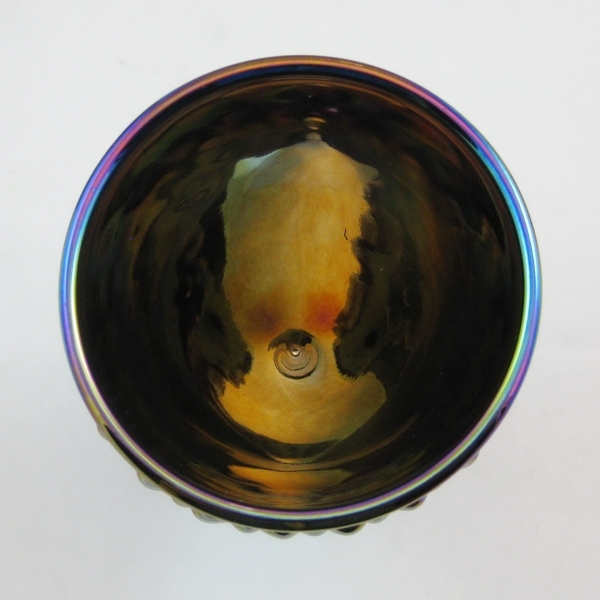 The interior is Plain; it has super iridescence. 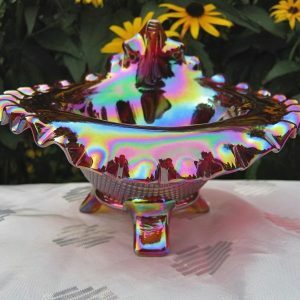 This sits flat on the base. 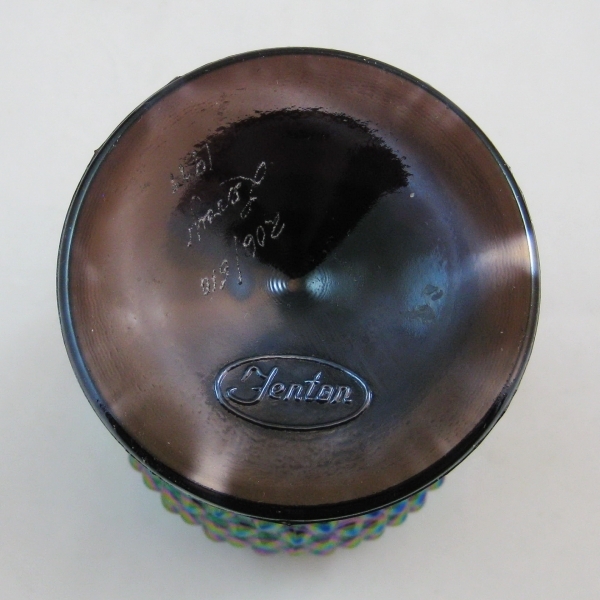 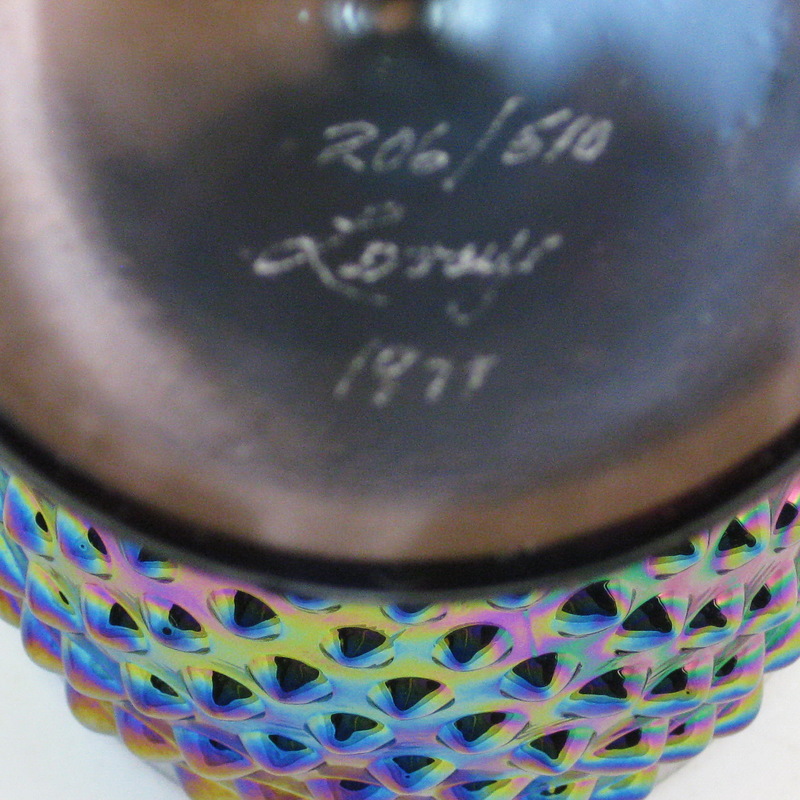 This is signed Fenton on the base as well as being scribe signed Levay #206/510 1977. 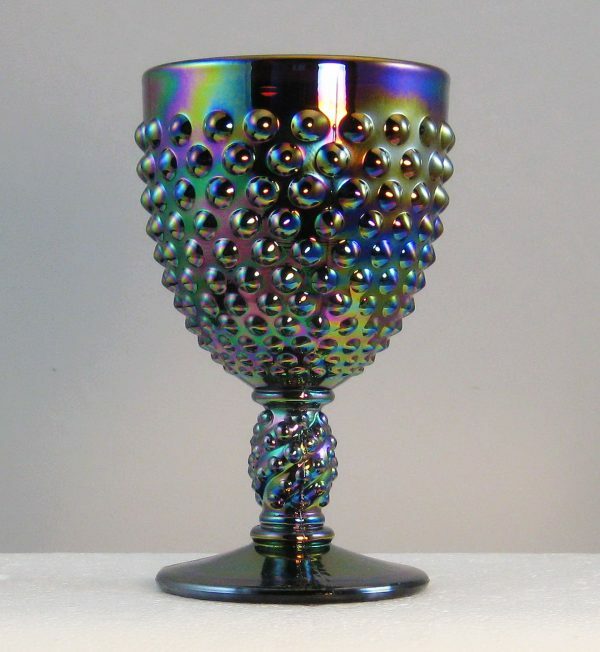 As with all most all Levay Glass items, these were very limited…as you can see 510 goblets made. 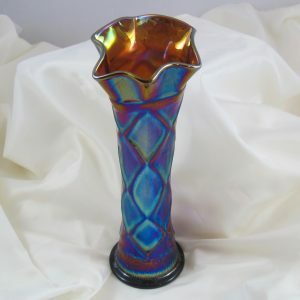 I have 5, but, only selling one at this time…still looking for one of the 200 Pitchers to go with my others.